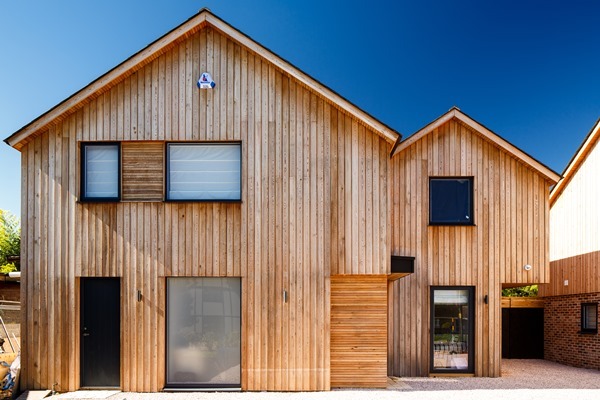 Studio 1 & 2 are two contemporary builds by HEM Building Services. 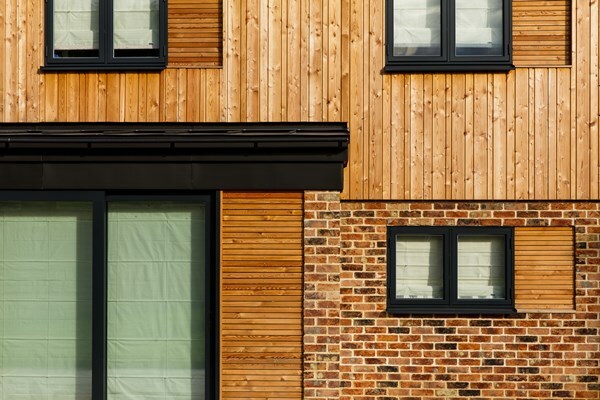 Siberian Larch Cladding Grade B (sawfalling) was chosen, the developer could rely on the superior quality of Millworks grade, having used this product in previous projects. Custom profiles were developed for this project, with the idea to be used vertically & horizontally, creating bold shadow lines and random widths. This has now become a stock profile due to popular demand. 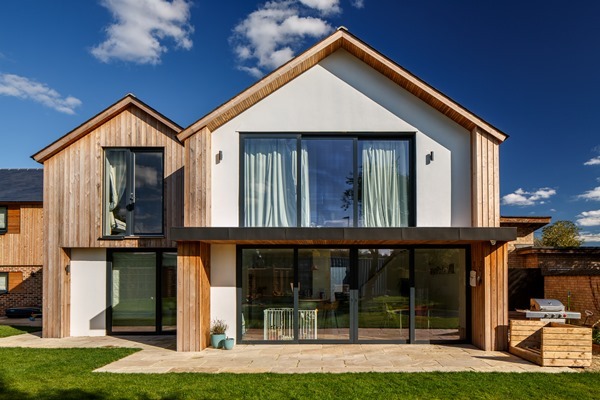 The developer and architect were seeking a consistent finish, without patchy weathering. 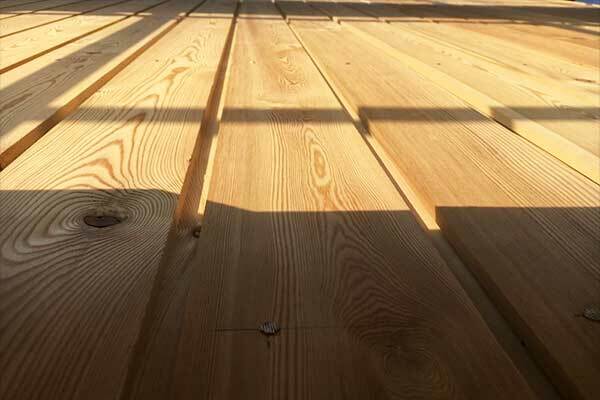 After discussing various finishing options, the timber has been treated with OrganoWood. 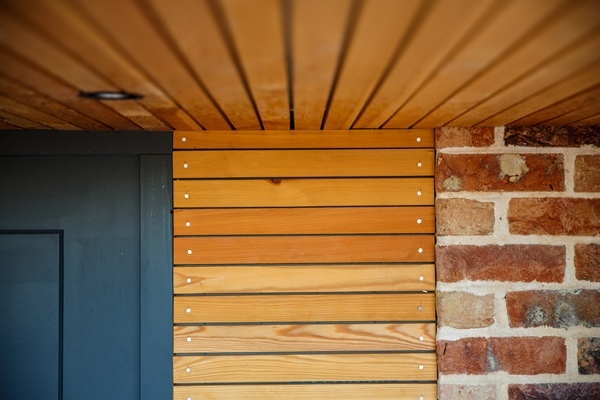 This will create a consistent, lustrous weathered look on all elevations and improve the durability of the timber.